Laid down, 23 April 1943, at Dravo Corp., Neville Island, PA. Delivered and placed in reduced commission, 2 September 1943, for transit to her fitting out yard at New Orleans, LA. 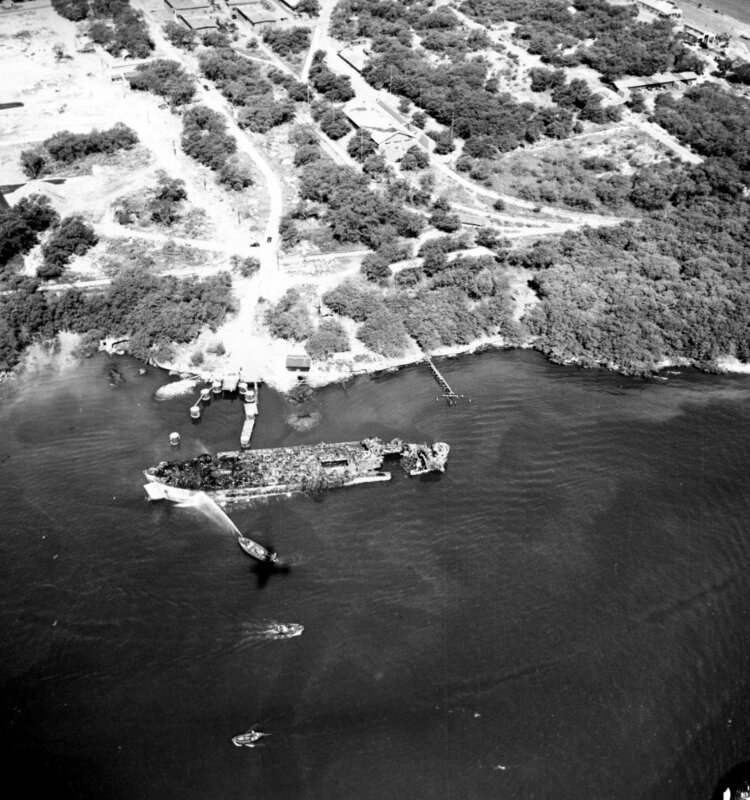 217k Aerial view of the burned out and grounded USS LST-39 off the Ferry Dock at Naval Ammunition Depot, Pearl Harbor. 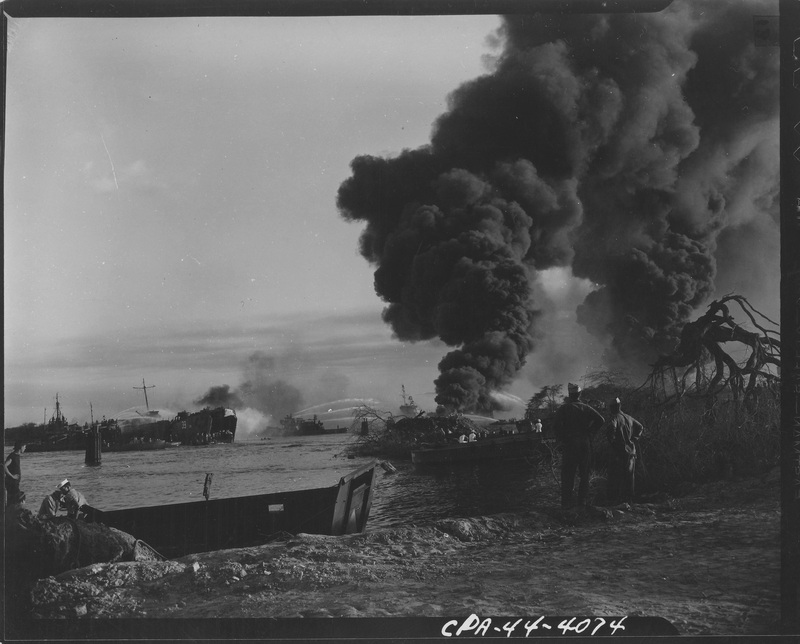 Photographed on 22 May 1944, the day after the explosions and fire which destroyed six LSTs in West Loch. 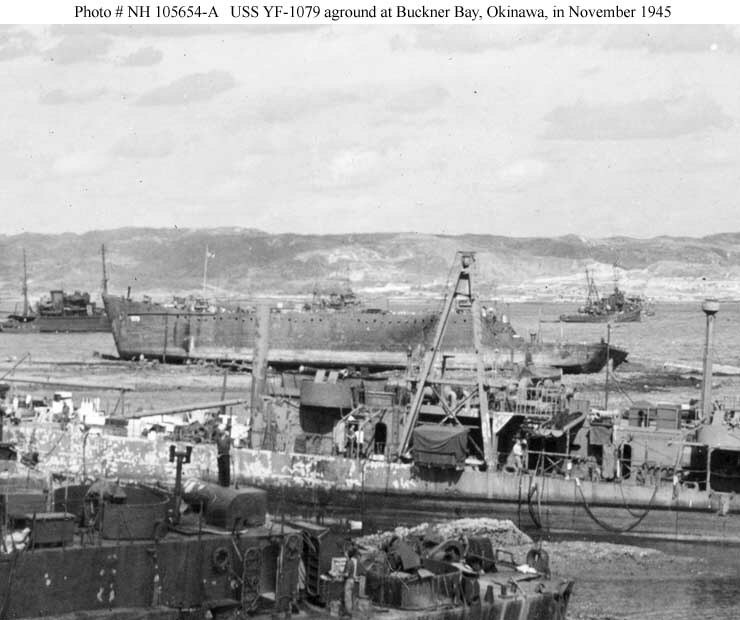 82k YF-1079 (in the center middle distance) Aground in Buckner Bay, Okinawa, after Typhoon Louise ravaged that port in October 1945. Photographed in November 1945. 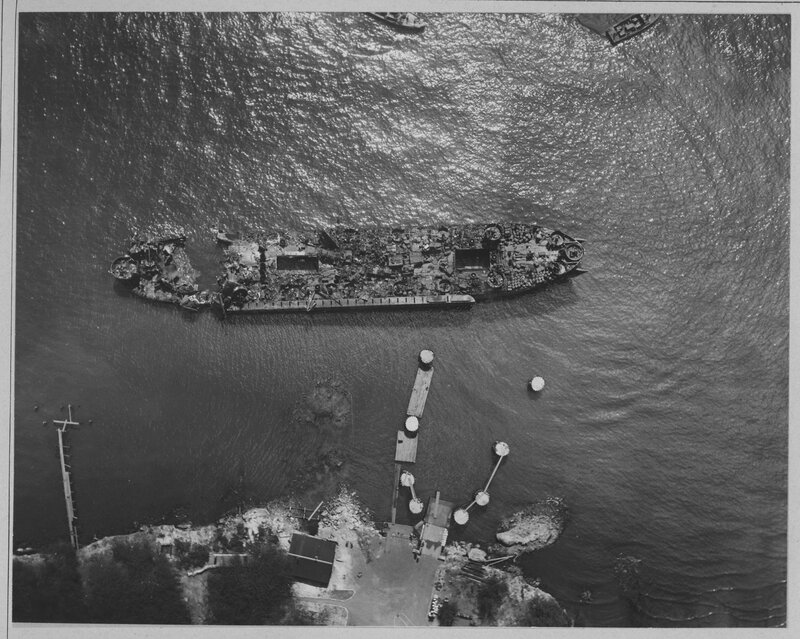 The stores issue barge YF-1079 was the portion of USS LST-39 that was salvaged after the LST was sunk by the ammunition explosions in West Loch, Pearl Harbor, on 21 May 1944. In front of her is the middle portion of USS Nestor (ARB-6), and in the foreground is the stern of USS LCI(R)-337. This image is cropped from Photo # NH 105654 (See USS LCI(R)-337). 69k YF-1079 beached and damaged in Buckner Bay, Okinawa, after Typhoon Louise ravaged that port in October 1945. Photographed in November 1945. 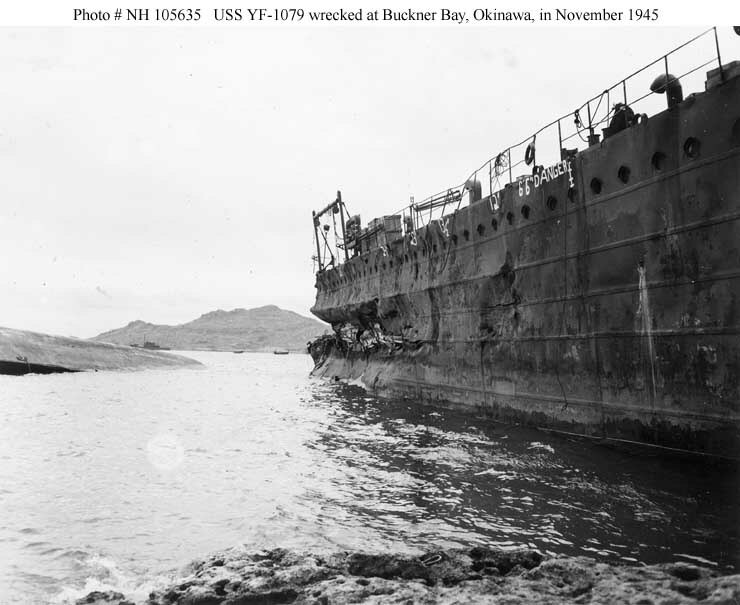 The image shows the after portion of her starboard side, which was damaged by a collision with another YF during the storm. Another service craft, possibly YF-757, lies sunken to the left. 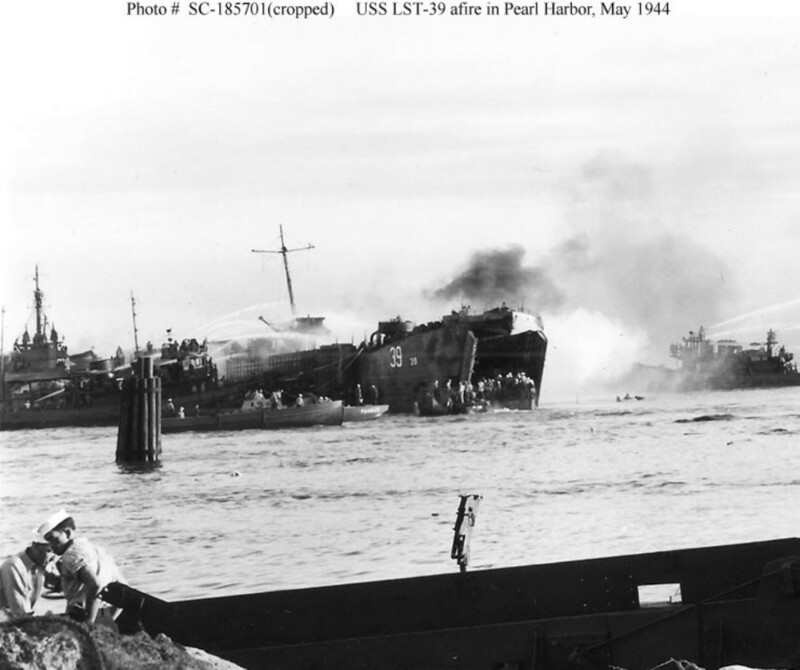 LST-39 was sunk in the West Loch ammunition explosion at Pearl Harbor, 21 May 1944. She was raised, converted to a spare parts issue barge, and redesignated YF-1079 in August 1944. YF-1079 had Diesel parts on board when wrecked. 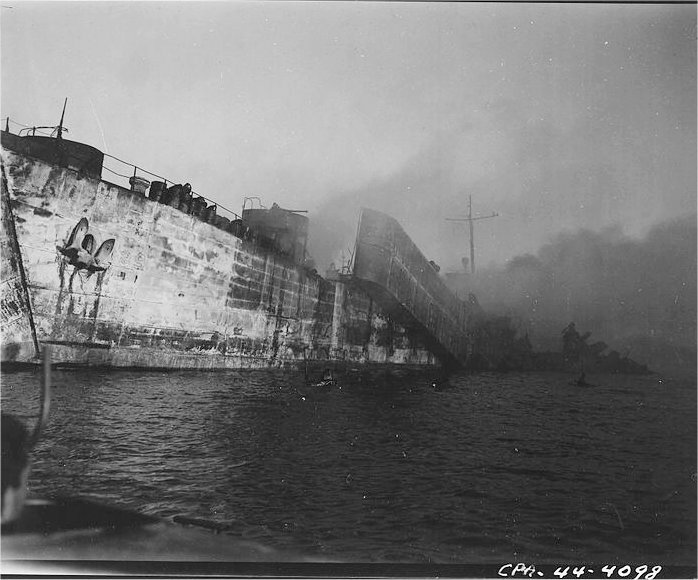 She was stricken from the Naval Register in February 1946 and destroyed in August 1946.